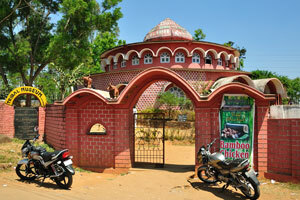 Entrance to the Tribal museum. 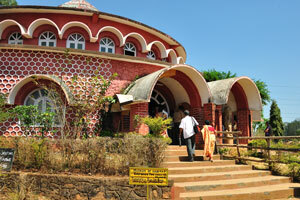 Museum of habitat, opens from 8am to 8pm. 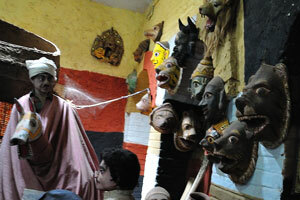 Animal masks are on the wall inside the museum. 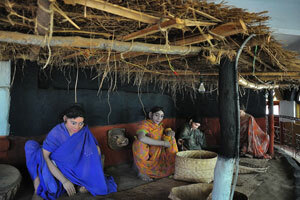 Women inside the rural home. 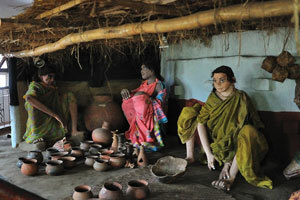 Rural house filled with clay pots. 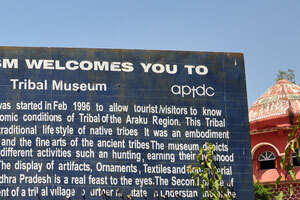 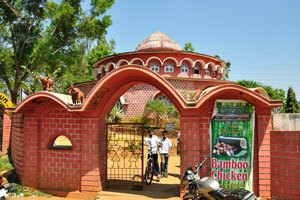 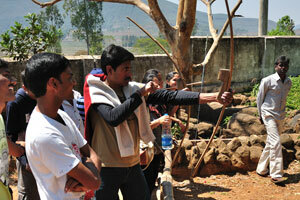 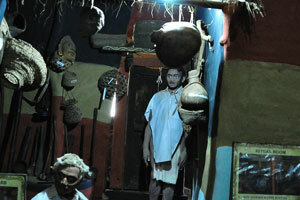 AP tourism welcomes you to Tribal museum.